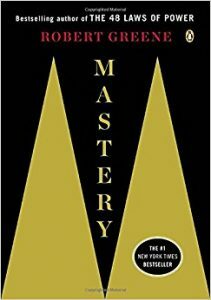 Mastery by Robert Greene is a book-guide on how to achieve mastery at anything you choose. Robert Greene says the path leading to mastery is a simple process accessible to everyone. He says there are three major distinct faces: the apprenticeship, the creative-active and then mastery. Greene mentions Darwin and says that what was specific for Darwin is actually common to everyone who achieved mastery: a passion and inclination for a subject, an encounter allowing them to apply their passion, an apprenticeship. They often move ahead quickly driven by their passion (read more on Darwin in The Moral Animal). To master a specific field, you must love it first. Greene says it’s mostly emotional qualities that drive people forward. Desire, persistence and confidence play a much bigger role than reasoning powers (check Emotional Intelligence as well). Robert Greene says you have an inner force guiding you guiding you towards your life’s task. It was obvious in your childhood, and your first step towards mastery is actually always inward first: reconnecting with that innate inclination. We are all born with a unique seed, and your life task is to find that uniqueness and bring it to fruition. The force is there, and you can start moving towards it at any point in life. But some people, says Greene, never end up who they really are. They stop trusting themselves, they conform to the expectation of the people around and start wearing a mask. When that happens, we end up in fields we don’t really like, and we try to fill our to fill with the love of public approval. The author says that when we do it for money and comfort, it’s out of anxiety and to appease our parents. Our parents, in turn, sometimes push us into more stable and lucrative position out of care. Robert Greene says that when facing your weaknesses resist the temptation to become like others and keep working on what you do well. Don’t think about grand plans for the future but focus on the immediate strengths in front of you. It will give you confidence and a strong base from which to branch out on future pursuits. Keep going and you’ll eventually hit your life task. Indeed, the author say, your life tasks won’t always be obvious to you. But don’t envy those who seem born with a gift in the meanwhile: it’s often a curse because they don’t learn to work hard at it. Robert Greene says that after the formal education most of us enter a second practical education known as apprenticeship. You will keep re-entering apprenticeships every time you switch fields. The goal of an apprenticeship is not money or a diploma, but the transformation of your mind and character. Look for challenges, move past your comfort zone: this is when you plant the seed for greatness and mastery. Skills Acquisition: focus a skill at a time, don’t multitask. Embrace the boring and tedium and be fully present. 2-3h of intense focus are better than 8h of distracted work. Concentrated practice over time cannot fail to produce results. Experimentation: initiate to put into practice and creative endeavors the skills you’ve built. Some people never experiemnt out of fear. Force yourself to do it before you feel ready and you’ll know where you stand, get precious feedback, thicken your skin and develop a key skill: the detachment between your ego and your work. Combine the ‘how’ and the ‘what’: learn deep about your field. Advance through trial and error: don’t follow a linear path. Learn as many different skills as you can in the area that interests you. Robert Greene says that nobody can skip the apprenticeship phase. Mozart and Einstein, two examples often bandied as natural talents, also took 10 years before coming up with a great piece of work. The only difference is that they started very early and with full immersion. Robert Greene says we live in an iconoclastic culture, we like to attack and dismantle all forms of authority. Some of us believe that criticizing is a sign of intelligence and learning as a submissive pupil is a sign of weakness. That is a terrible mindset to reach master. To learn we have to let go of that feeling and accept and acknowledge there are people much further ahead in our field than we are. And their position is not due to friends or luck, but it’s based on skills and knowledge. Robert Greene says that books are generic and not tailored to your situations, but they can serve as mentors as well. You can idealize a figure of the past and ask yourself what they would do in your exact same situation. Napoleon Hill had a whole team of great figures from the past he would turn to for suggestion (read Think and Grow Rich). Choose Mentor Based On Your Needs: refrain from looking for someone like your parents and don’t just pick anyone. I particularly loved the psychological analysis Greene brings to mentor-mentee relationship. He says that good mentors will want you to become independent and will let you free once you’re ready while remaining friends. But often mentors will want to keep you subjugated. They will see your moves towards independence as an affront to their authority. They might come to envy you and your growing skills, your youth or your drive. You can’t let them hinder you, your mentee position is in no way permanent. Your goal is to absorb as much as possible and then moving on. If needed, start to resent him and use the emotions to break yourself free. The mentor-mentee relationship often resembles that of a son-father figure, and sometimes you need to slay the father to burst your cocoon. 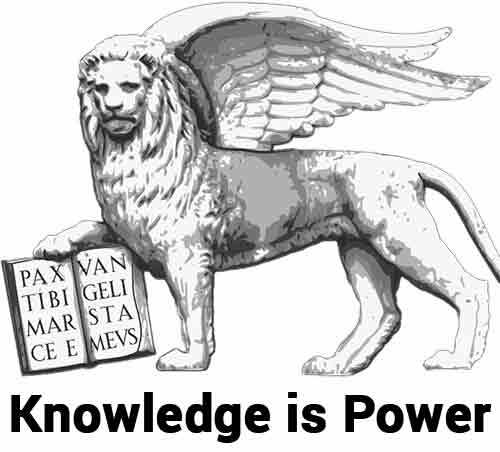 Once you internalized the knowledge you must move on. Your goal is to surpass your mentor. Robert Greene says that social intelligence is key for any kind of mastery you’re aiming for, because success without social intelligence is not real and will not last. 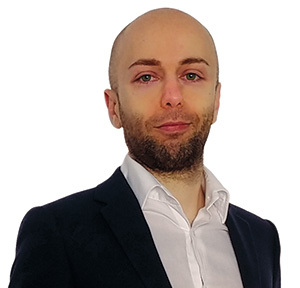 The author says that social intelligence is seeing people for who they really are, what motivates them and what they’re manipulating tendencies are. We’re all different, but we all also have a dark side and a tendency to manipulate. Robert Greene says the best approach is one of supreme acceptance. He quotes Scopenauer in saying that your goal is not to judge people and to change them, but take them for whom they really are use whose whom you can’t change. The are some good insights in this chapter, which is a bit of a mix between The 48 Laws of Power and The Art of Seduction, albeit the insights are not comparable to the latter. Robert Green says coming out of apprenticeship the tendency might be to relax or fit in and stay safe. You must resist that urge and go the opposite side instead. Expand knowledge with different fields, experiment and challenge the same rules you learned. Developing and embracing originality will take you to new heights. We often hear about how children are creative and open-minded. Well, Robert Greene says children never invent or discover anything life-changing. Masters then DO retain the spirit of the children’s mind, but they also add years of apprenticeship knowledge and a strong and deep focus on their ideas. The key then is to blend the knowledge, the focus and mind-openness to explore new routes. Conservatism: we stick to what worked in the past and we want to fit in. But if we worry about failure and what others think we’ll never do anything creative. I invite you to read Linchpin on the fear of showing your work. Grandiosity: praise does harm. We will start working to attract praise and as our ego inflates we’ll come to believe it’s our natural brilliance that pushed us up. What must motivate you is the process and the work itself. Robert Greene ends the chapter with a helpful reminder: the myth of creative power fueled by drugs is.. A myth. Don’t fall for that cliche’. Any work of mastery requires discipline, emotional stability and self control. And enduring hard work, doubts and obstacles. Robert Greene says that mastery is not fully rational but a combination of knowledge, skills and intuition. Intuition needs both knowledge, skills and experience and can take up to 20 years to reach. My Note: this reminded of when Tim Grover spoke of “trusting your guts” for the very top performers in Relentless. But it’s never a point at which you stop and call yourself a master. Mastery is a never ending process. You will never stop facing setbacks and situations that challenge you, and those are your blessing to keep going up and up on the never ending road of mastery (read The Obstacle is The Way for the best mindset primer on dealing and using obstacles). Robert Greene here tackles the critics of mastery. Those who say there’s no point in striving, because masters are genius who were born lucky. Some others say it’s immoral and only for the ambitious. Or a game of luck. Mastery is not a function of genius, it’s a function of time and focus, says Robert Greene. And, last but not least, setting yourself on the path of Mastery is a favor you do the world. Learn as many skills as possible, follow your circumstances but only if they’re in the path of what interests you. A wide range of experience will make you better suited at deciding what to stick with later on. And I invite you to read Grit by Angela Duckworth for more on the importance of many experiences. Fool are those looking for short term gain, being right, their own career and public approval. Accept them as a part of life but do not lower yourself to their level. Robert Greene seem to often resort to his 48 Laws of Power mindset with a heavy focus on games people play and you playing with them back. Robert Greene uses a lot of list and steps in Mastery. However those bullet points didn’t always seem like actionable steps. One example: the step “craft the appropriate persona” doesn’t say much on how to do that, so it feels like those list don’t always deliver on their promise. Mastery is another great book by Robert Greene. I’m constantly amazed by Greene’s depth of insight into human nature. There’s a point in which he suggests you become your worst critic. That’s true, just make sure you develop a growth mindset and an antifragile ego otherwise too many critics can bring your mood an self esteem way too low.